Forestry and woodlands are good for wildlife, the economy, for people and for the planet – and now you can have your say on how these havens should be enhanced and extended in the next 100 years. The Cairngorms National Park Forest Strategy is out for consultation from this week. It is the key document providing strategic direction on future forest management and restoration of woodlands in the Park for at least the next two decades. In the Cairngorms National Park, forests and woodlands cover 16.4 per cent of the land area while in Scotland as a whole the figure is 18 per cent. However, Cairngorms forests are disproportionately significant for rare flora and fauna with its very high proportion of native tree species. Will Boyd Wallis, Head of Land Management and Conservation at the Cairngorms National Park Authority (CNPA) commented: “The Cairngorms National Park contains some of the finest native woodlands in the country. Our vision is for the forests of the Park to flourish and expand, providing us and future generations with better connected forest habitats, more diverse landscapes, outstanding recreational experiences and greater opportunities for local business development. 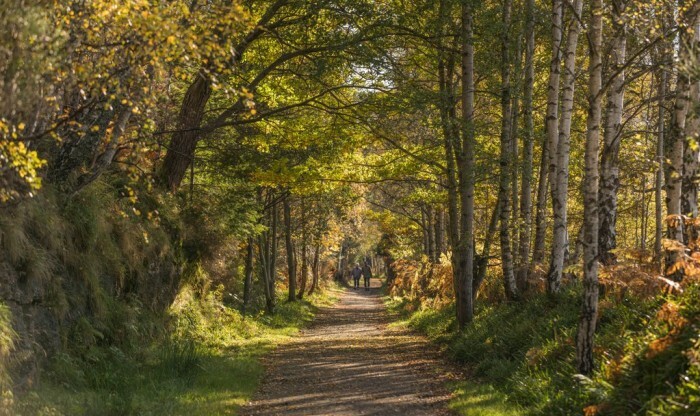 As well as a vision for forestry for the next 20 – 100 years, the Cairngorms Forest Strategy sets out ten strategic objectives including restoration and natural regeneration of woodlands; promoting the creation and enhancement of productive forests and promoting responsible access. Policy Guidance is also included on integrating woodland creation with other land uses such as moorland management and agriculture as well as habitat enhancement to support rare species. The consultation closes on 25th March 2018. For more information or to take part in the consultation on the Cairngorms Forestry Strategy please visit the CNPA website.